Dr. David Tanner received his degree (BA, BAI) in Mechanical / Manufacturing Engineering from Trinity College, Dublin in 1995. He then moved to the University of Limerick, where he completed his PhD entitled “Measurement and finite element prediction of residual stresses in aluminium alloy 7010 forgings” with Dr JS Robinson. After a one year post-doc at the University of Limerick, he worked from 1999 to 2001 with Alcan International research laboratories in Banbury, UK, on prediction and testing of the performance of aluminium joints for applications in the Jaguar XJ8. 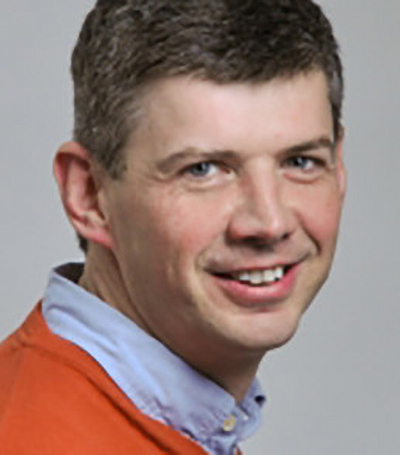 David returned to the University of Limerick in 2001 to work on a transmission electron microscopy (TEM) based project investigating welding technology of power plant steels (SmartWeld). He managed the TEM facility at the Materials and Surface Science Institute (MSSI) prior to obtaining a position as lecturer in Manufacturing Process Technology in September 2005 in the Manufacturing & Operations Engineering Department. David is now a member of the MSSI and continues to undertake research in the areas of TEM and finite element analysis of metal working processes. He is currently the course leader for the Bachelor of Engineering degree in Design and Manufacture and is involved in industrially relevant research projects in the areas of investment casting and brazing technology. Robinson, J. S.; Tanner, D. A.; Truman, C. E. (2014) ‘50th Anniversary Article: The Origin and Management of Residual Stress in Heat-treatable Aluminium Alloys‘.Strain, 50 (3):185-207.